1 Federal Census, NY, New York County, 1930, Manhattan, E.D. 81-251, Sheet 10B, Image 25 of 41, Ancestry.com (Online Census Images). 2 U.S. Public Records Index, 1950-1993, Volume 2, Record for Alspeth Hart, Ancestry.com (Online Database). 3 Lyons, Richard D., "Kenneth Burke, Philosopher, 96, And New Criticism Founder, Dies", New York Times, 21 NOV 1993. 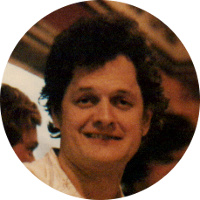 4 Wikipedia, "Harry Chapin", (accessed 08/10/2016).